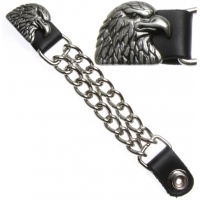 Shop leather motorcycle vest extenders chains for bikers metal chain vest extenders are used to loosen up your leather vest. 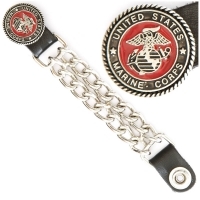 Attach the ends of the vest extender to your vests front snap buttons. 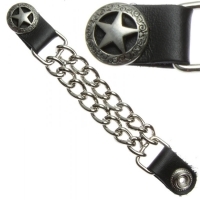 Quality vest extenders for authentic biker looks. 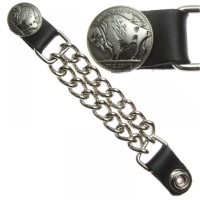 Just attach them to the snaps of your leather vest.Vest extenders were invented so that you can keep wearing your many years old leather riding vest. 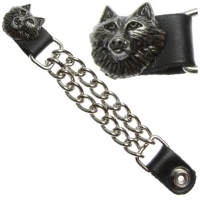 Don't give up your old vest get some motorcycle vest chains. 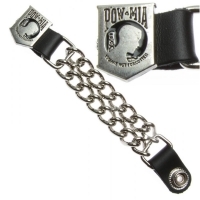 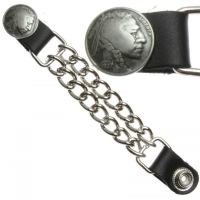 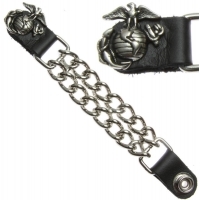 These have real leather end pieces and plated steel chains. 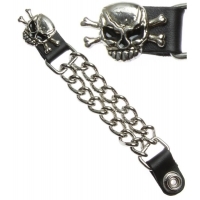 For an authentic biker look decorate your vest with some biker vest extenders.